Welcome back. Do you remember Jaq and Gus, costars of Walt Disney’s 1950 Cinderella? If you do, then I don’t have to tell you that mice are cool. I don’t remember if they sang in the movie, but you may be as surprised as I was to learn that mice--the real kind--do indeed sing. And it’s not as if scientists, moonlighting as talent scouts, discovered this yesterday. Well it is if “yesterday” to you is the early 1970s. 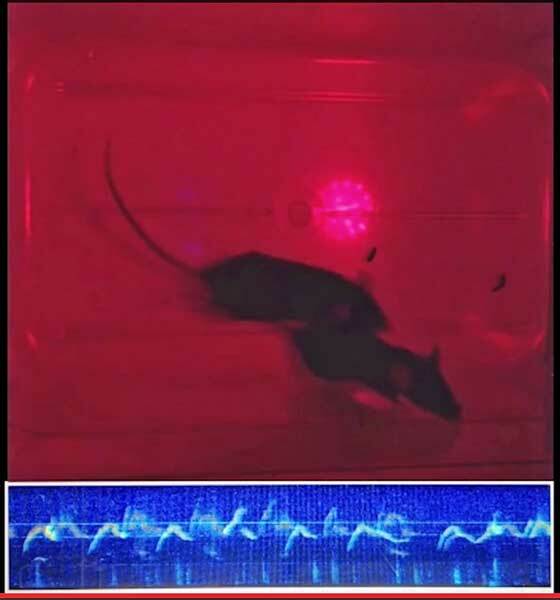 What is new is the finding by researchers from Duke University and the Howard Hughes Medical Institute that, although mice aren’t songbirds, they can adapt the syntax of their songs to the stimulus and social context, at least the males can when courting females. Permit me to explain. First, before you start looking for mice to record, be advised that you’re going to need special equipment. About the best you and I can hope to hear are sounds in frequencies between 20 Hertz to 20,000 Hertz. 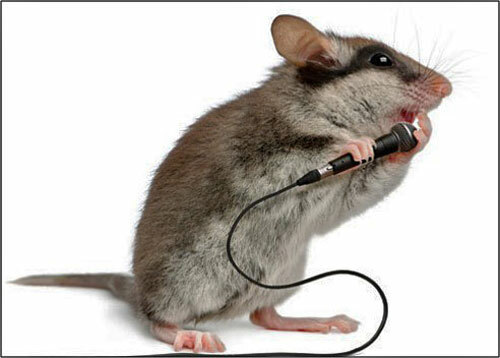 Mice sing at higher frequencies, in the ultrasonic range above 20,000 Hertz. 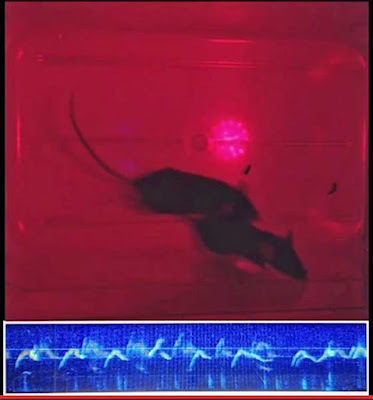 In any event, the starting point for the latest study is a collection of earlier studies by different investigators that demonstrated male mice sing in different contexts (sexual and other) and use multiple syllables. Multisyllabic vocalization has been thought to increase the potential flexibility and information conveyed. It would allow the elements to be organized, combined and ordered in different ways, being analogous to syntax in human language, which enables us to generate an infinite number of sentences from a finite number of words. To determine whether male mice alter their song syntax and have distinct song types for females in ways comparable to, for example, songbirds, the researchers exposed adult male mice to four different social contexts and developed a new statistical approach to analyzing the ultrasonic vocalizations based on songbird syntax analysis. The social contexts tested were: (1) fresh urine from at least two different females or males, (2) an awake and sexually experienced adult female, (3) an anesthetized adult female and (4) an anesthetized adult male. * Males sing syllables louder, longer and higher pitch in response to fresh female urine, but sharper (higher syllable spectral purity) to awake females. * Males sing their longest sequences in the presence of an awake female. * Syntax differed with social context. * The proportion of complex versus simple song syllables also varied with context. * Females detect differences in, and show preferences for, songs of different contexts. vs. time) of male’s song. Within the overall conclusions that male mice alter their repertoire composition and syntax with the context and that the differences matter to females was one engaging detail: females seemed to prefer the urine-response songs over those sung in their presence. The researchers suggest that the urine-response songs are more complex calling songs aimed at attracting females the male can’t see but thinks are nearby. Once the female is present, the male switches to simpler and possibly less energetic songs while he works to chase her down. As I wrote, mice are cool. Thanks for stopping by.